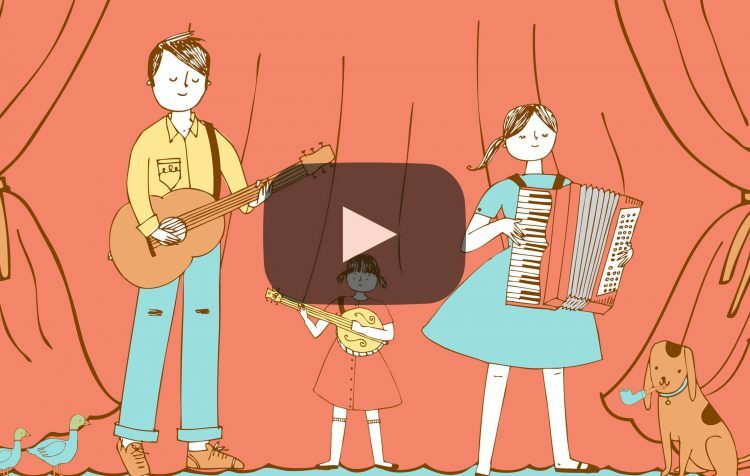 Interactive Folk Concerts for Little Music Connoisseurs. Megson are Stu Hanna (Vocals, Guitar, Banjo & Mandola) and Debbie Hanna (Vocals, Piano Accordion, Whistle & Kazoo). Three times nominated in the BBC RADIO 2 Folk Awards and treble winners of the Spiral Earth Awards they draw heavily on their Teesside heritage to create a truly unique brand of folk. Developed in association with CAMBRIDGE JUNCTION and THE SAGE GATESHEAD. Capacity: From 50 – 350. Suitable for smaller venues for an intimate experience as well as larger arena spaces. @MegsonMusic @FamilyFolkShow @CambJunction it was a great show. We all had a great time- My 2yr old is still shouting QUACK!